Honest observers on both sides of the conflict have long acknowledged that the prospects for a two-state solution are virtually non-existent: another way of saying that Israel’s status as a permanent apartheid regime is inevitable. Indeed, U.S. intelligence agencies as early as 45 years ago explicitly warned that Israeli occupation would become permanent if it did not end quickly. All relevant evidence makes clear this is what has happened. There has been no progress toward a two-state solution for many years. The composition of Israel’s Jewish population — which has become far more belligerent and right-wing than previous generations — has increasingly moved the country further away from that goal. There are key ministers in Israel’s government, including its genuinely extremist justice minister, who are openly and expressly opposed to a two-state solution. Israel’s Prime Minister Benjamin Netanyahu has himself repeatedly made clear he opposes such an agreement, both in words and in deeds. In sum, Israel intends to continue to rule over and occupy Palestinians and deny them self-governance, political liberties, and voting rights indefinitely. Whether despite this aggression and oppression, or because of it, the Obama administration has continually protected Israel with unstinting loyalty and lavished it with arms and money. 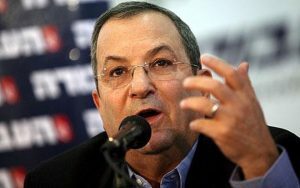 This rewarding of Israeli behavior culminated in the administration’s announcement just three weeks ago that it has signed a “memorandum of understanding” to significantly increase the amount of money the U.S. gives to Israel every year, even though Israel was already by far the biggest recipient of U.S. aid. Under this agreement, the U.S. will give Israel $38 billion over 10 years, by far a new record for U.S. aid commitments, even though Israeli citizens enjoy all sorts of state benefits that Americans (whose money is being given to Israel) are told are too costly for them, including universal health care coverage, and tout superior life expectancy and infant mortality rates. This week, with its fresh new $38 billion commitment in hand, the Israeli government announced the approval of an all new settlement in the West Bank, one that is particularly hostile to ostensible U.S. policy, the international consensus, and any prospects for an end to occupation. The new settlement, “one of a string of housing complexes that threaten to bisect the West Bank,” as the New York Times put it this morning, “is designed to house settlers from a nearby illegal outpost, Amona, which an Israeli court has ordered demolished.” This new settlement extends far into the West Bank: closer to Jordan, in fact, than to Israel. So Israel — in the words of its most loyal benefactor — is moving inexorably “towards cementing a one-state reality of perpetual occupation” that is anti-democratic: i.e., the equivalent of apartheid. And the leading protector and enabler of this apartheid regime is the U.S. — just as was true of the apartheid regime of the 1980s in South Africa. Worse still, the person highly likely to be the next U.S. president, Hillary Clinton, has not only vowed to continue all this but to increase U.S. protection of both Israel generally and Netanyahu specifically; indeed, her only critique of U.S. policy is that it has been insufficiently loyal to Israel. Her leading opponent, Donald Trump, early on spouted a bit of off-the-cuff dissent on Israel policy but since then has snapped fully into line. The utter lack of political dissent about all of this in the U.S. political class is reflected by the fact that the only opposition to the $38 billion aid package came from U.S. senators who — echoing Netanyahu — were angry that it was not even more generous to Israel on the backs of American citizens. In sum, unstinting support for an apartheid Israel is the virtually unbroken consensus among U.S. political elites. Worst of all is that U.S. political orthodoxy has not only funded, fueled, and protected this apartheid state, but has attempted to render illegitimate all forms of resistance to it. Just as it did with the African National Congress and Nelson Mandela, the U.S. denounces as “terrorism” all groups and individuals that use force against Israel’s occupying armies. It has formally maligned non-violent programs against the occupation — such as the boycott, divestment, and sanctions movement — as bigotry and anti-Semitism (a position Clinton has advocated with particular vehemence), and that boycott movement has been increasingly targeted throughout the West with censorship and even criminalization. Under U.S. political orthodoxy, the only acceptable course for Palestinians and supporters of their right to be free of occupation is complete submission. Even as Western consensus continues to revere the most stalwart supporters of South Africa’s apartheid regime — Ronald Reagan, Margaret Thatcher, Shimon Peres — it at least now regards apartheid itself in that country as a historic disgrace. History should regard those enabling Israel’s own march to permanent apartheid in exactly the same light. The most aggressive and consistent enablers of this apartheid are found at the top of the U.S. political class. Glenn Greenwald is one of three co-founding editors of The Intercept. He is a journalist, constitutional lawyer, and author of four New York Times best-selling books on politics and law. His most recent book, No Place to Hide, is about the U.S. surveillance state and his experiences reporting on the Snowden documents around the world.